The first time your child does anything, it’s a big deal. In fact, it’s not unusual for a small celebration to follow something as mundane as eating his or her first candy or singing along to a song for the first time. But when it comes to the child’s first trip to the dentist, a celebration usually isn’t involved. In dentistry for children, it’s perfectly normal for the kids to be less than enthusiastic about an upcoming appointment. For this reason, it’s suggested that some preparation is required for the child to feel comfortable. In order to make sure your child’s first trip to the dentist goes as smoothly as possible, here are some helpful ways to prepare. From an early age, it’s important to instill in your child the understanding that dental hygiene is imperative to one’s health. The earlier your child understands this, the quicker he or she will pick up some good habits. If a child isn’t properly taught good dental hygiene, then it’s highly likely that he or she will ignore such vital practices as brushing your teeth and flossing. If there’s not an immediate downside, children are unlikely to inconvenience themselves without guidance. Not only will these habits help your children in the future, but they’ll help them maintain good oral hygiene in the present. Tooth decay is the most common chronic disease for children between the ages of 6 and 11. In order to properly quell your child’s fears about the dentist, you must first know where they come from. Chances are, your child might be picking up your own fear of the dentist. Therefore, make sure you maintain a positive attitude when discussing topics about dentists. If your kid hears you come home from an appointment moaning in pain and telling horror stories, it’s only natural that the child would be afraid. Instead, do the opposite. Come home from the dentist and tell your child how much better you feel. Be a good example to your kids. It might also help to show the child videos of a dental clinic, just to get them acquainted with the place. While a large part of their fear may have to do with the anticipation of pain and discomfort, there’s also the fear of the unknown. Finding the perfect dentist for your child’s first appointment is pivotal, because the experience of their first appointment is going to color their feelings on the dentist for a long time. If the child has a great experience, then future preparations won’t need to be as extensive as those leading up to the first appointment. If it goes bad, getting your child back to the dentist is going to be an uphill battle. Look for a dentist that has a proven track record of working with children and keeping them at ease. It helps to ask the other parents in the area or do some internet research. The dentist doesn’t necessarily need to be a pediatric dentist, either. Any dentist who is friendly and good with kids will do. There’s a lot of pressure surrounding dentistry for children. The child is nervous, but so is the parent, because a bad first appointment can make all the following appointments that much harder. Therefore, it’s paramount that your child’s first trip to a Calgary dentist is the best it can possibly be. 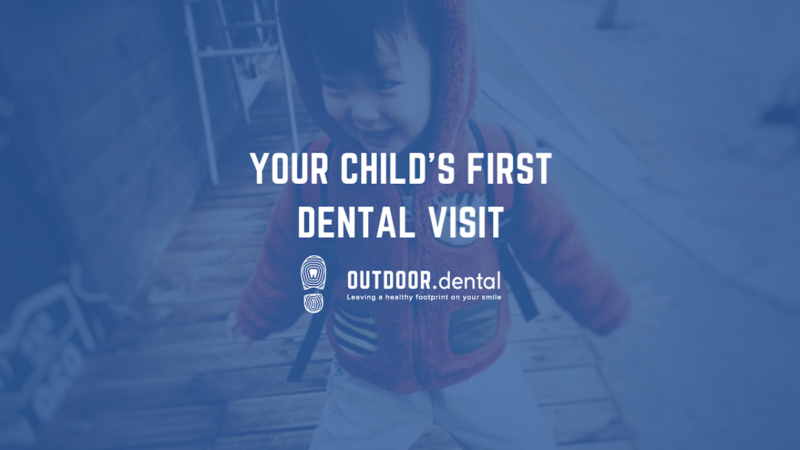 If you’re looking for a dentist in Seton, Calgary, my team and I at OUTDOOR.dental will go out of our way to give your children an enjoyable first dental check-up. Not only will we do everything we can to put your child at ease, but we’ll make sure that he or she learns the important dental habits that will extend into their adolescence and adulthood. We look forward to welcoming your children as our newest patients. Looking for the perfect dentist for your child’s first appointment? If so, make an appointment with OUTDOOR.dental online or give us a call at 587-393-3704. We’ll do everything we can to ensure your child has positive first experience.